When I think of summer I think of the warm sun, the beach, children playing outside, picnics, and of course eating lots of watermelons. I also think it’s a time that I need to come up with some extra activities to keep the kids having fun, and learning. 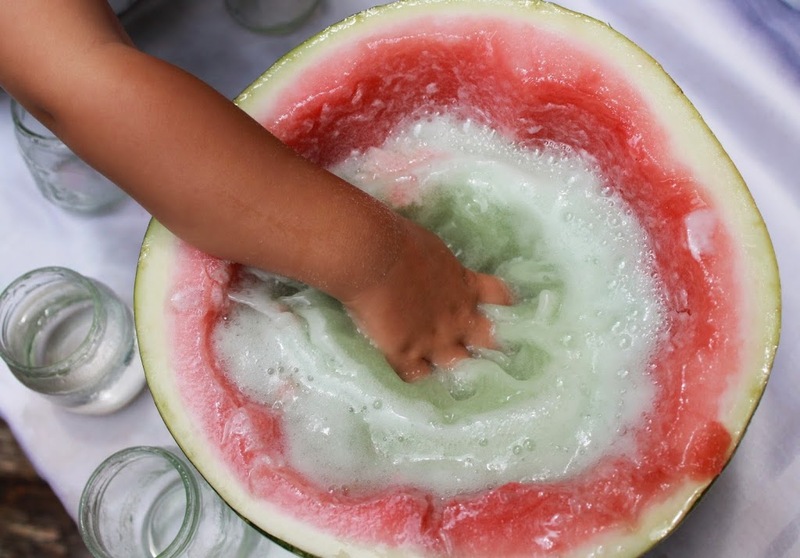 On this particular day I had scooped out the middle of the watermelon for a fruit salad and I knew there was something cool we could do with the rest of it. 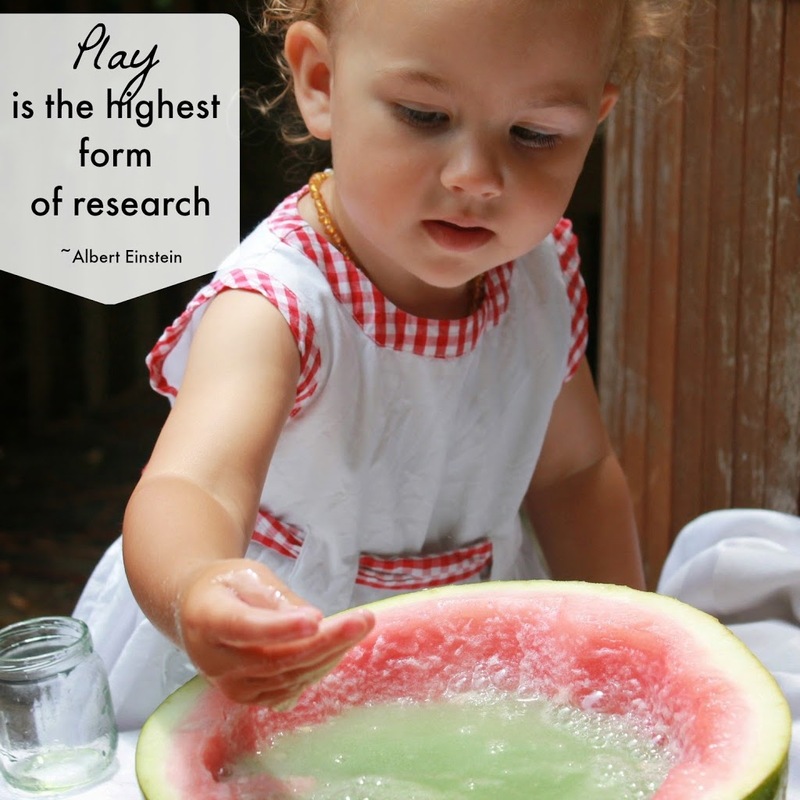 A watermelon science experiment and sensory play idea for a beautiful summer day. Perfect! 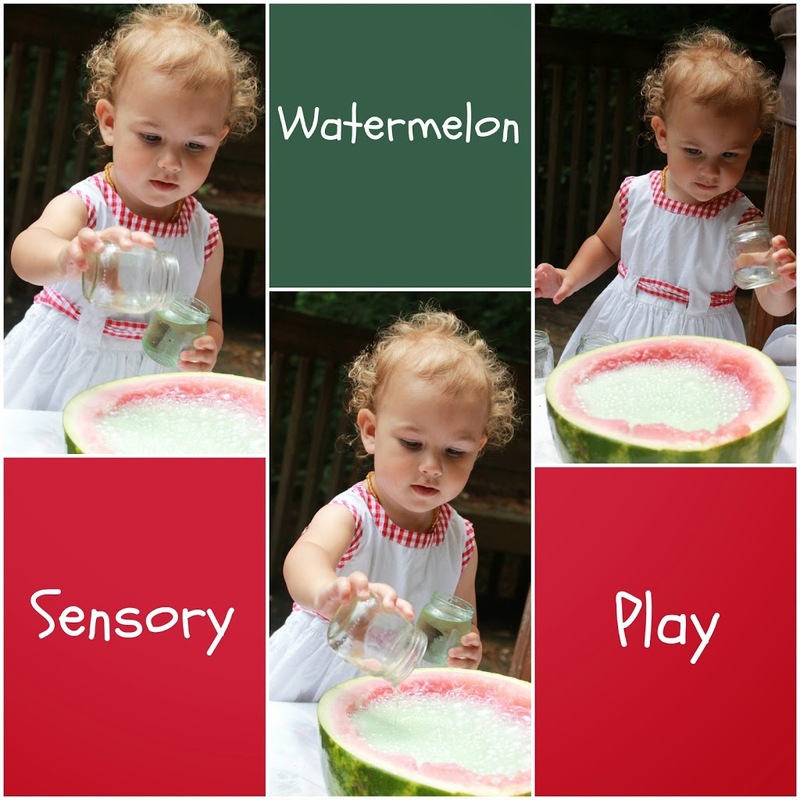 What I came up with was easy and super fun Watermelon Science and Sensory Activity. Feel free to add a couple drops of watercolors or food coloring for extra excitement. 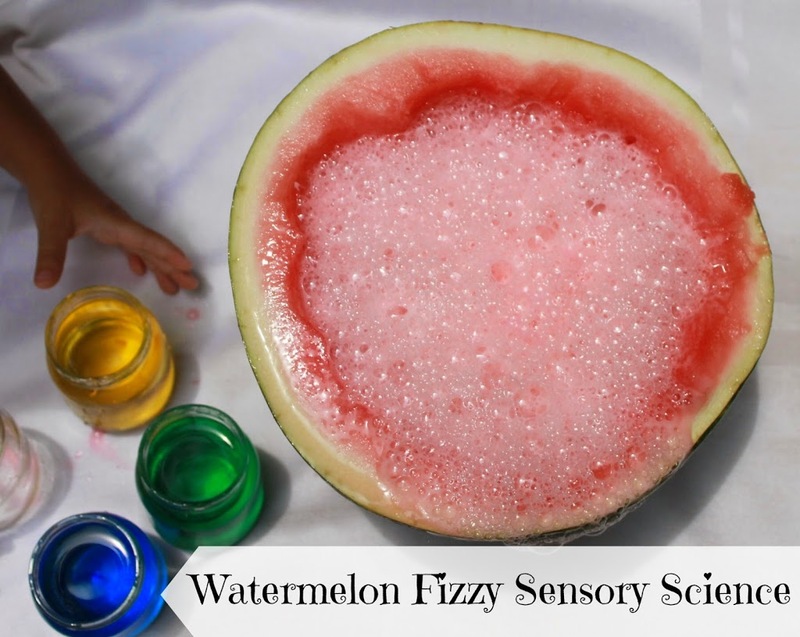 Sit back and let the kids explore and enjoy some fizzy watermelon science sensory play. Summer should be filled with enjoyment. Make it easy for yourself yet thrilling for the children. 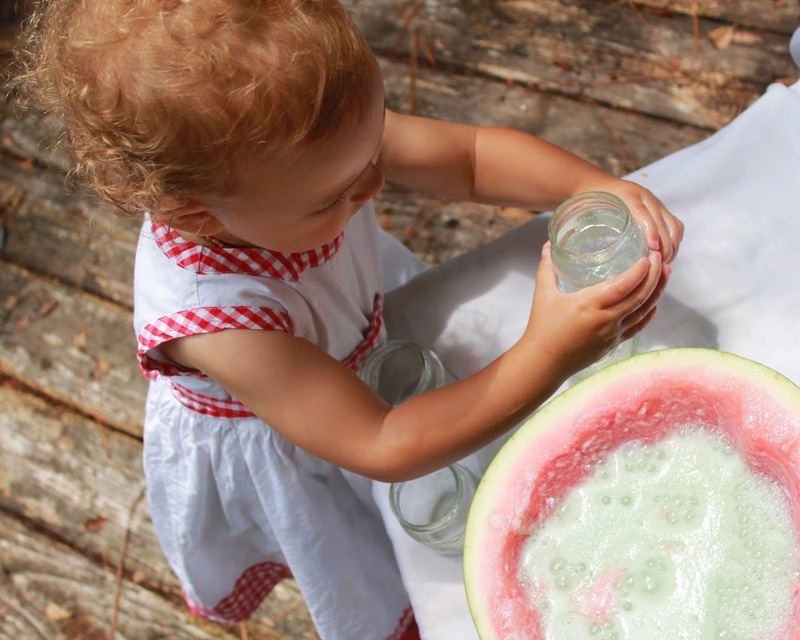 I hope you enjoyed our watermelon play and get the chance to try it out for yourself. 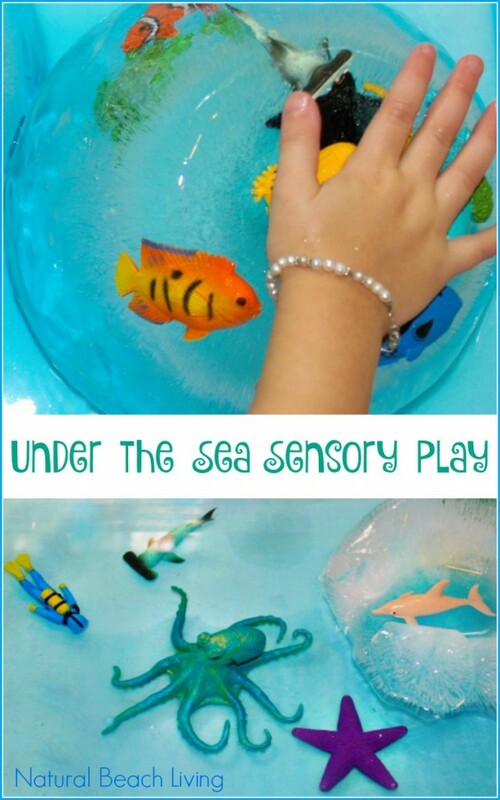 The children will love the squishy, bubbling fun! I just love this activity! It looks like so much fun! 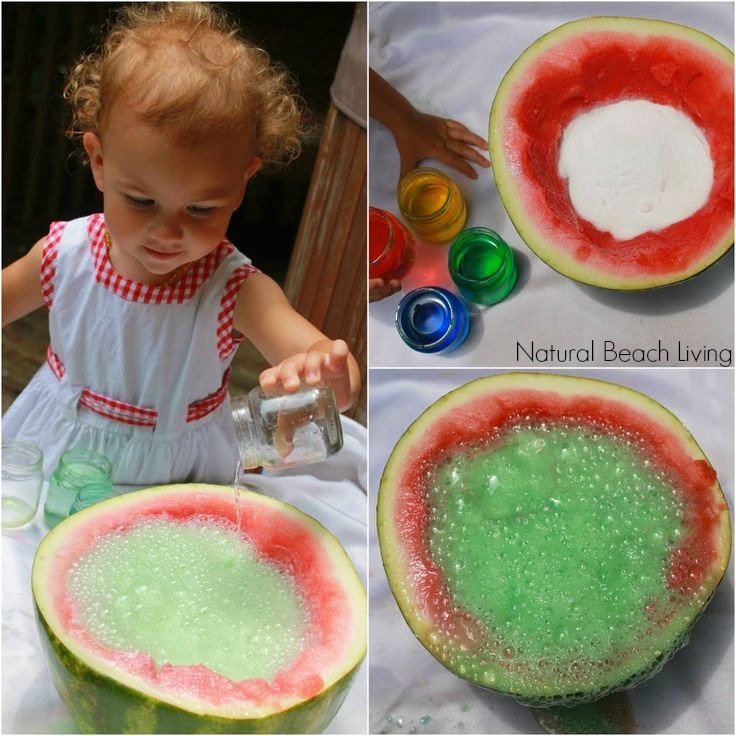 This is an amazing summer sensory science idea! 🙂 Love it! Wow! What a neat idea! I’ve been feeling uninspired lately. I know little to nothing about Montessori and stumbled on your blog from the Natural Homeschool blog. I clean with vinegar and baking soda, so I should’ve talked to the girls about this a long time ago. Thanks for this idea! How fantastic is this! Off to the shops to buy watermelon! This looks like so much fun. If I set this up for my daughter, I wonder how long it will take her to try to drink the experiment! Wonderful sensory experience! 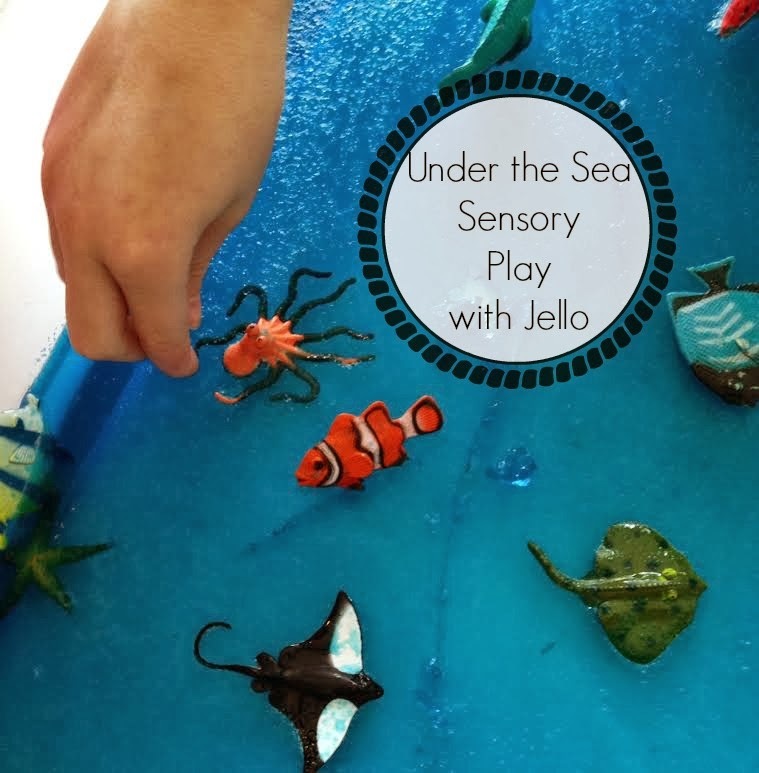 What a fun and unique sensory tub! Looks like fun! Throwing out the watermelon rind won’t seem like such a waste if you can use it like this first 🙂 Thanks for sharing! Thanks so much 🙂 It did smell so sweet.